This chart is an overview of features included in Network Bandwidth Analyzer Pack. Monitor bandwidth use by application, protocol, and IP address group. Monitoring of Cisco NetFlow, Juniper J-Flow, sFlow, Huawei NetStream, and IPFIX flow data identifies which applications and protocols are consuming the most bandwidth. Get alerted if application traffic suddenly increases, decreases, or disappears completely. Be able to quickly act if there’s an unusual change in application traffic. You can also set alerts to be notified if a device stops sending flow data, so you can efficiently remediate the problem. Analyze network traffic patterns over months, days, or minutes by drilling down into any network element. 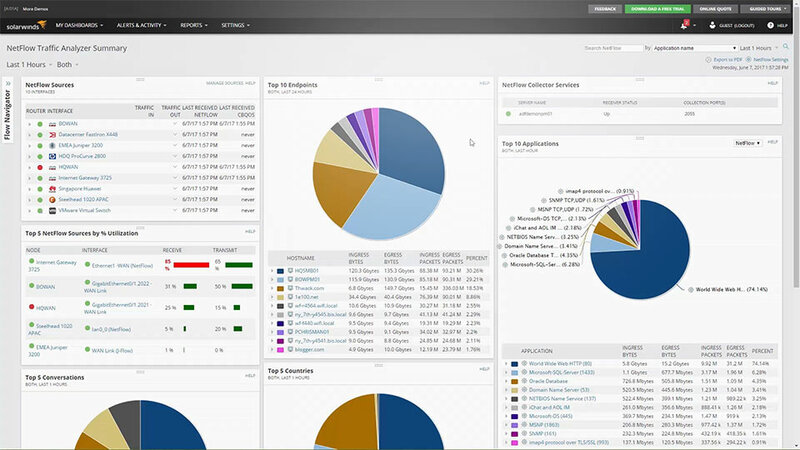 NetFlow Traffic Analyzer collects traffic data, correlates it into a useable format, and presents it to the user in a web-based interface for monitoring network traffic. 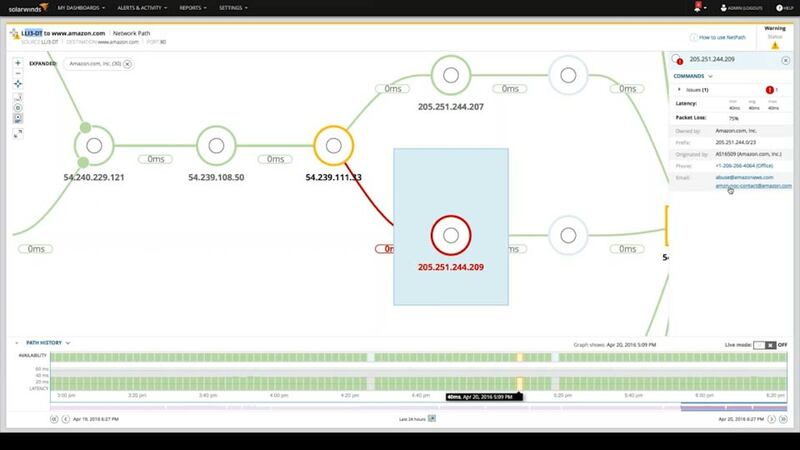 Accelerate identification of root cause by dragging-and-dropping network performance metrics on a common timeline for immediate visual correlation across all your network data and NetFlow analytics. Measure the effectiveness of pre- and post-policy traffic levels per class map to determine if QoS policies are working as planned. If your business relies on VoIP, e-commerce, or other cloud-based applications, the NetFlow analyzer software will help confirm that prioritized traffic passes smoothly through the network. Increase security with visibility into malicious or malformed traffic with port 0 monitoring. TCP/UDP monitoring of port 0 traffic highlights any flows directed to port 0 so you can quickly identify intrusive traffic. 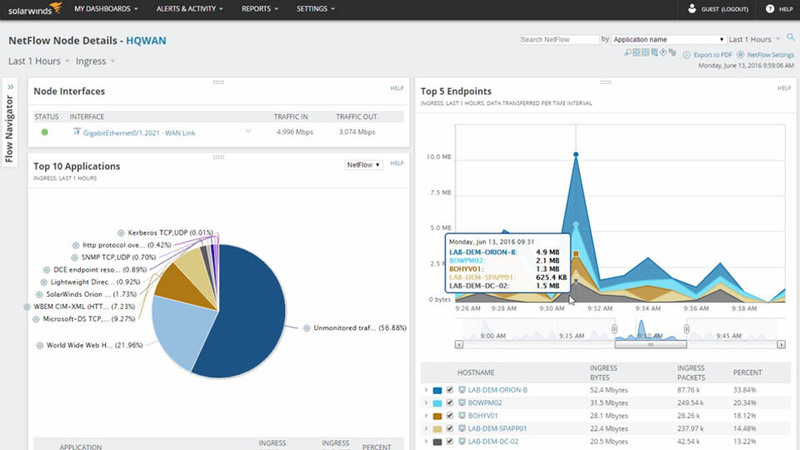 Create, schedule, and deliver in-depth network traffic analysis and bandwidth reports with just a few clicks. Don't spend money on additional bandwidth if it's not needed. 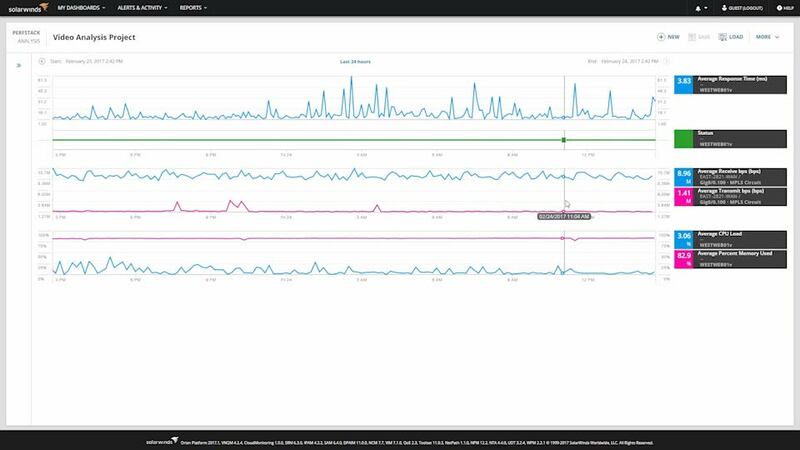 NetFlow software can help you review historical data to identify peak bandwidth usage and adjust policies for better management. Identify which applications and categories consume the most bandwidth for better network traffic visibility with NBAR2 support. Cisco NBAR2 support gives you visibility into HTTP (port 80) and HTTPS (port 443) traffic without the need for additional probes, spanning ports, etc. Monitor Wireless LAN Controller traffic to keep tabs on applications and clients utilizing bandwidth on your wireless network. In today's mobile world, it's important to keep your wireless network running smoothly. With WLC network traffic analysis, you can easily see what's using your wireless bandwidth. User Device Tracker (UDT) allows you to identify bandwidth hogs slowing down the network when integrated with NTA. UDT provides user contact info and switch port location – allowing you to tell the user to reduce their bandwidth usage or to remove them from the network. Network Bandwidth Analyzer Pack is an industry favorite. Hands down. "NetPath is everything you wished traceroute could be." "Network Performance Monitor offers simplicity out of the box for most, and limitless deep dives into low-level customization for those who dare. It’s open, unobstructed, and encouraged on THWACK®. Good stuff." "When the big boss was upset about a certain recently upgraded line already at 100% utilization, NTA was able to generate some lovely reports of out of compliance user activity that consumed the lion’s share of the line." 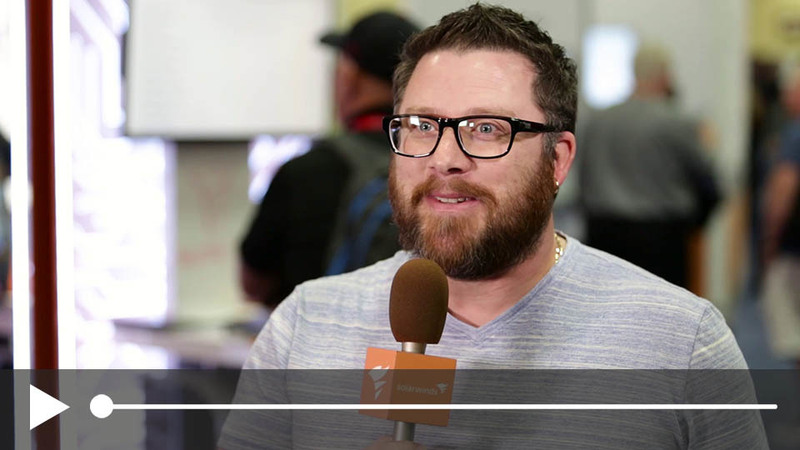 "We really like the information that comes out of SolarWinds® [NTA] and looking at each interface to give us [more] detail than we were getting before." "We want to understand the cause of [network] slowness as quickly as possible, and remedy it. NTA does that for us, efficiently, effectively, and with beautiful graphs and reports that we can share with management and the site's users." How is Network Bandwidth Analyzer Pack licensed? Can I purchase NPM or NTA as stand-alone products? Do you offer any online training opportunities? I'm new to SolarWinds products. Where do I start? I already own some SolarWinds products. Are they compatible? Network Bandwidth Analyzer Pack has flexible licensing options. Network Bandwidth Analyzer Pack includes Network Performance Monitor (NPM) and NetFlow Traffic Analyzer (NTA). Network Performance Monitor is licensed based on the largest number of nodes, interfaces, or volumes. Licensing for NetFlow Traffic Analyzer follows your NPM license, so if you want an NTA SL250 license, you would also need an NPM SL250 installation. Yes, you can purchase NPM as a stand-alone product, but NTA requires an equivalent NPM license. Licensing for NTA follows your NPM license, so if you want an NTA SL250 license, you would also need an NPM SL250 installation. SolarWinds has informative online training, ready when you are. Our Success Center offers a full suite of articles, guides and videos to help you utilize the many key features of Network Performance Monitor and Network Traffic Analyzer. Hit the play button and fill your brain with helpful tips. Welcome! We recommend that you visit SolarWinds Success Center. Get the support resources you need, including the NPM and NTA Getting Started Guides, which will take you from installation to full implementation. Most likely. Our Product Compatibility Chart will tell you for sure! 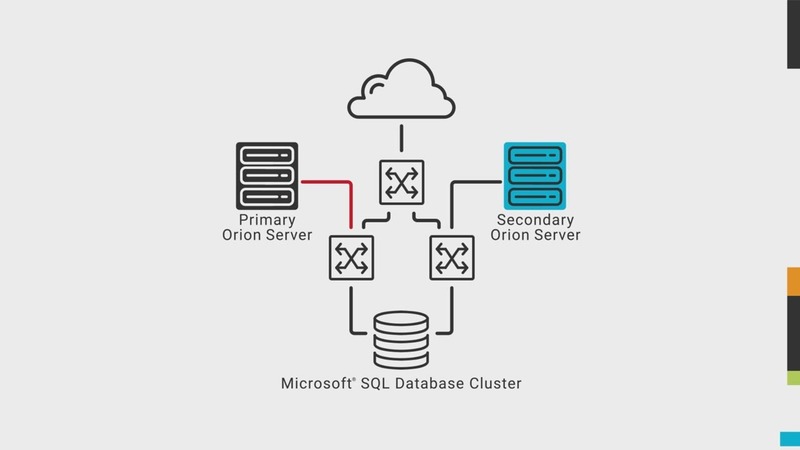 Our products are built on the Orion® Platform for seamless integration. If you are on an older version, you may need to update before installing new products.